We have also analysedthat the first round of tests and candidate evaluations lend themselves very well to AI-based systems. It is something in which we will further invest as the process is refined. In an exclusive interview with BW People K.S. Prashant, Managing Director IDeaS Revenue Solutions talks about the skill gap market is facing, the changing employer-employee relationship and Artificially intelligent hiring. 1. There is a huge skill gap that the industry is facing today; there is no job-ready talent available. How can a recruiter help in improving the work efficiency of a new hire on the first day? Amidst the skill gap and, more importantly, the changing expectations due to technological evolutions, we have strategised to be net creators of talent. It means that we hire using specific criteria and build on them. The talent acquisition team should work in collaboration with the talent development team. It is also imperative to clearly identify the quantifiable competency gaps in candidates before onboarding and including them as part of a structured learning programme that is more relevant to the job description. 2. There is a whole talk about the changing employer-employee relationship. While employers are trying their level best to keep employees motivated and engaged, could you throw some light on the best practices to leverage that? It is pertinent for employers to have a meaningful engagement with their employees. 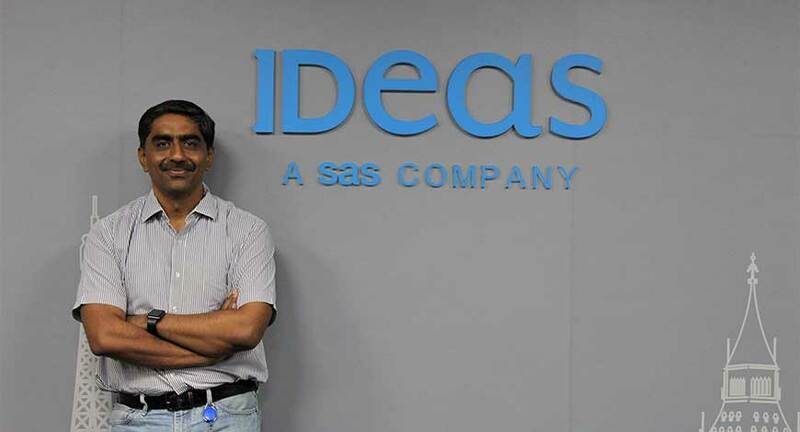 At IDeaS, we conduct frequent surveys with our teams and have found that work, challenges, and opportunities for personal growth are usually the top things that people look for in their jobs. The nature of our business makes our work challenging. However, we try to understand the interpretation of personal growth for different employee personas and cater our learning and development programmes towards those. 3. Is AI usage in hiring an alternative to the best traditional hiring practices in HR? Can we trust a machine with no human interface to make such an important decision for the organisation? Our recruitment process has multiple stages including sourcing, evaluation rounds, offer closure, post-offer engagement, and onboarding of the new employee. Some of these stages lend very well to the usage of AI-based techniques. As an example, we had good initial results with a Natural Language Processing (NLP)-based bot for sourcing some specific profiles. We have also analysedthat the first round of tests and candidate evaluations lend themselves very well to AI-based systems. It is something in which we will further invest as the process is refined. We have also effectively used an AI-based learning model to predict a candidate’s success at various stages, based on the keywords given in the profile. There is clearly a value in human interactions in the later rounds when we are dealing with a fewer number of candidates, and we use scenario-based techniques to evaluate both technical and non-technical skills. I would say that AI in the talent acquisition process is a reality and should now be considered as a mechanism that augments the traditional hiring process, rather than outright replace it. 4. How difficult is it to manage the expectations of the growing millennial workforce? Roughly 25-30 per centof our employees arein the millennial range. We conduct regular surveys internally to assess the needs of our workforce. Work challenge and personal growth are top on the priority list for the millennials. However, this is common even across all age groups. Interestingly, the need for achievement is extremely high among millennials and falls in the third position. It is replaced by salary and work-life balance for the other groups. Achievement is a feeling of making a difference or an impact. It reflects the need to be a part of a larger purpose. In my view, employee experience should tie with at least the top three elements (work challenge, personal growth, and achievement) that the high-performing millennial persona aspires for. This will mean, giving them challenging work by including them along with the best senior personnel in the organisation,and giving direct senior-executive exposure to break the barriers. Organisations should also create training programmes for them by combining the company’s bets on future technologies with the skunkworks programmes. 5. What is more important for a recruiter these days – skills or degree? It’s not an either-or scenario. We view recruiters in the same vein as the sales function. They both must be able to sell a value proposition to an external stakeholder. While the salesperson promotes the product or service value proposition, the talent acquisition specialist has to promote the employee value proposition. It means that the talent acquisition specialist would need business skills; knowledge of the industry/product and marketing skills to create and position a differentiated value proposition; programme management skills to run a talent branding campaign and closure skills. A degree programme in management does delve into a number of these concepts. Akin to any other profession, it is important to apply the practical concepts learned during their degree programmes. If degree programmes can incorporate scenario-based methods and provide exposure to industry practitioners, they can be more valuable than a purely pedantic course.